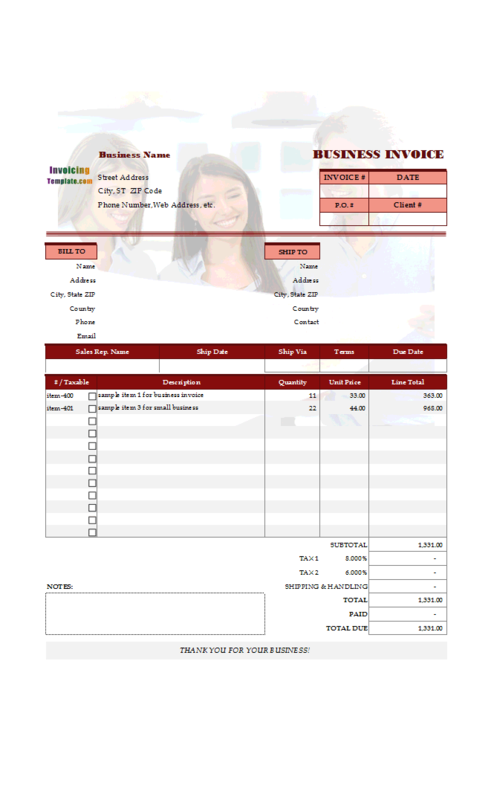 The default invoicing form calculates line totals from Quantity and Unit Price. This sample service bill template simply change the headings to Hours and Rate so that it becomes an hourly service bill template. 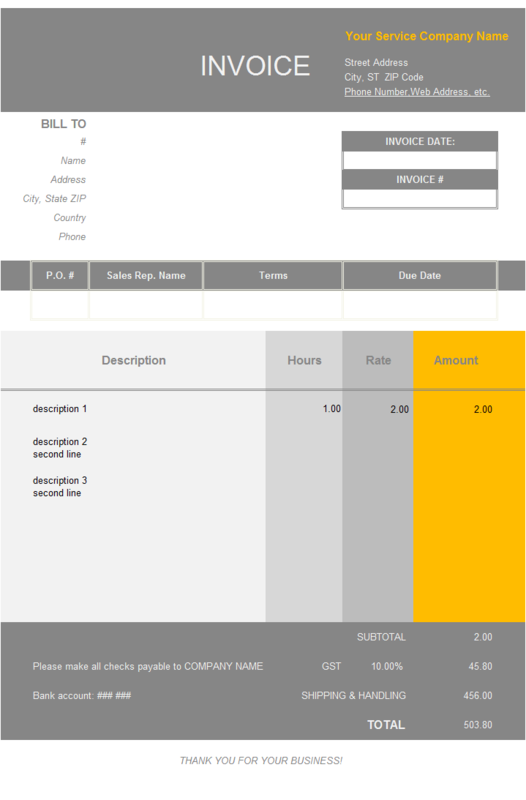 c4025 now includes the customized invoice template for the latest version of Invoice Manager for Excel. This is what you will see when you open hourlyservice.xlsx. 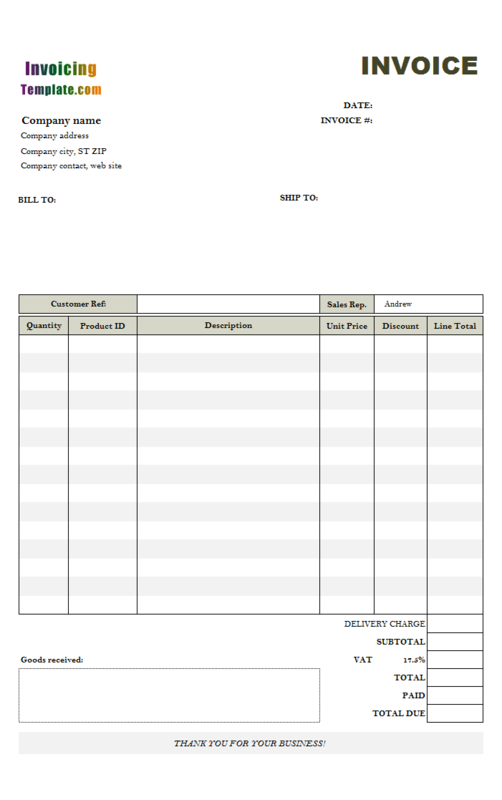 If you are in the service business and you charge your customers based on the time (hours) spent to render the service, this template should be a welcome addition to you if you think the item-based form layout, which is implemented in the default invoicing template shipped with Invoice Manager for Excel (namely Uniform Invoice Software), never quite matches the nature of your business. 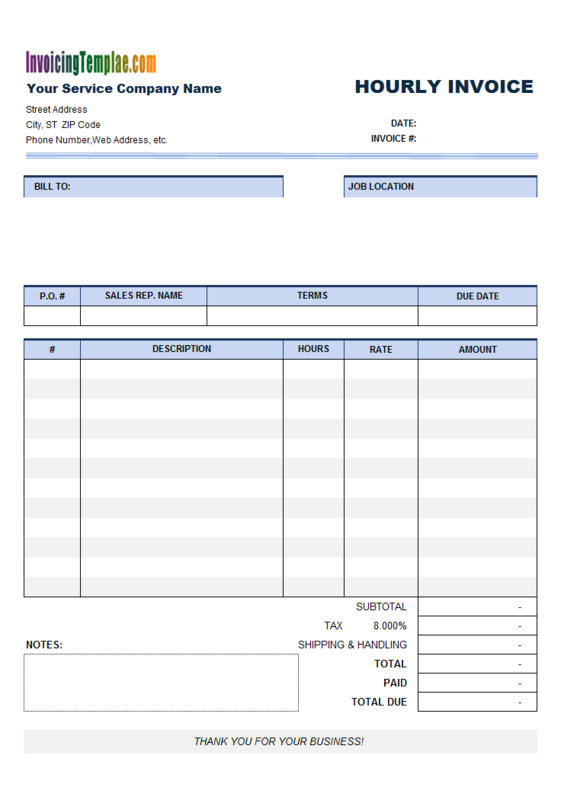 This ready-to-use template could be your favor on creating invoices, quotes or estimates. 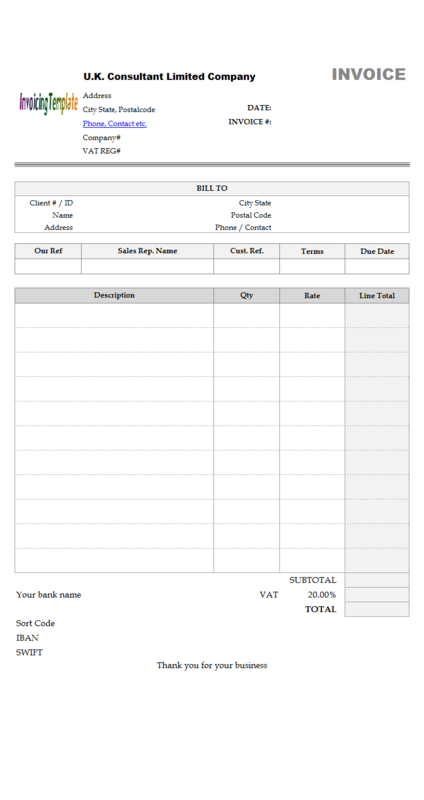 It offers a professional yet simple Hourly Billing Sample that can help you in creating service based invoices quickly and effectively. 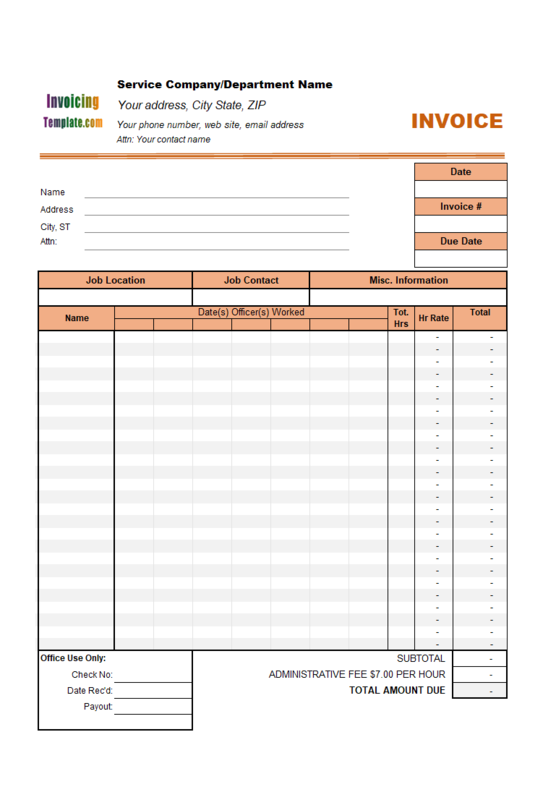 This template is created using Microsoft xlsx format so that anyone can easily use it for his/her own purpose. 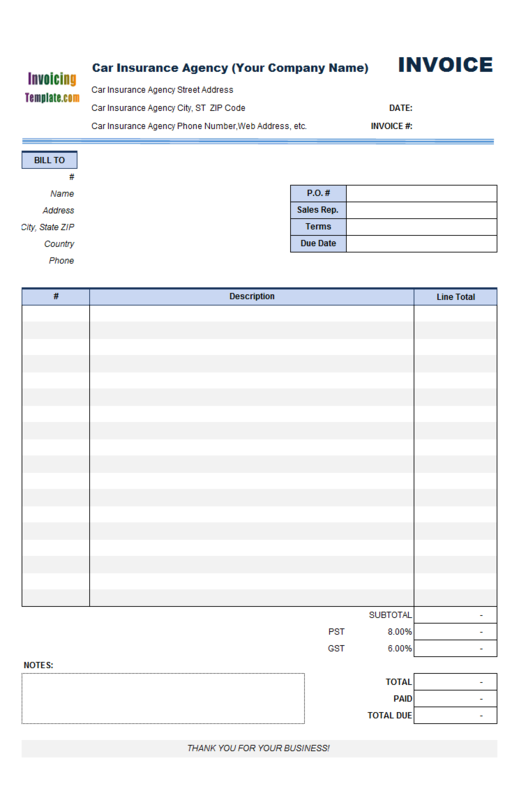 This implementation of our hourly billing statement is currency-neutral - meaning it does not show currency symbol on the figures. It is suitable for many different countries and regions, such as United Kingdom (UK), France, Italy, Greece, Switzerland, Ireland, Netherlands, Denmark, Sweden, Austria, Portugal, Spain, Czech Republic, Germany, Norway, Poland, Belgium, Luxembourg, Latvia, Georgia, Romania, Finland, Estonia, Belarus, Slovakia, Lithuania, Serbia, Slovenia, Ukraine, Russia, Asia country or region like China, Taiwan, Mongolia, India, Japan, Korea, Philippines, Sri Lanka, Pakistan, Macau, Hong Kong, Malaysia, Singapore, Timor-Leste, Indonesia, Thailand, Brunei Darussalam, or Croatia, Mauritius, Maldives, Malta, Cyprus, United Arab Emirates, Saudi Arabia, Egypt, Bahrain, Qatar, Kuwait, Oman, Turkey, Bulgaria, Lebanon, South Africa, Angola, Kenya, Tanzania, Mozambique, Namibia, Nigeria, Zimbabwe, Zambia, Brazil, Barbados, Paraguay, Puerto Rico, Costa Rica, Mexico, Argentina, Venezuela, Peru, Uruguay, Chile, Panama, Aruba, Trinidad and Tobago, Colombia, Honduras, Guatemala, Bermuda, United State (US) and Canada, or Australia, New Zealand, Papua New Guinea. 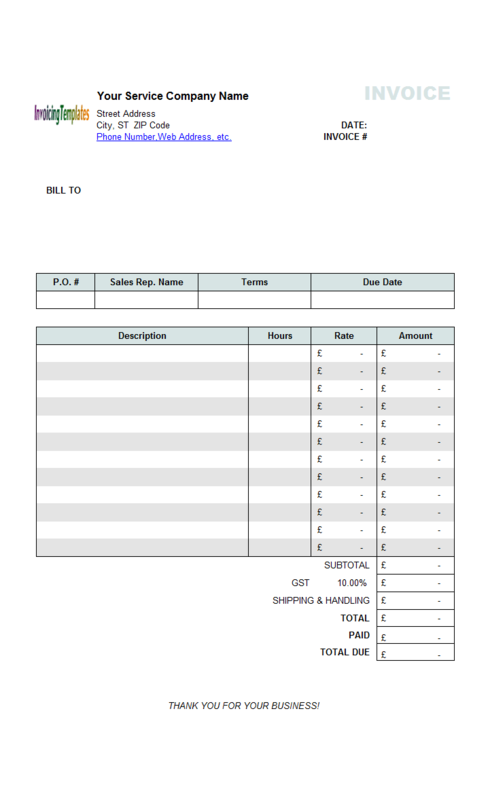 If you want accuracy by showing your currency symbol on the form, see the sample template at Hourly Service Billing Sample (UK Currency). 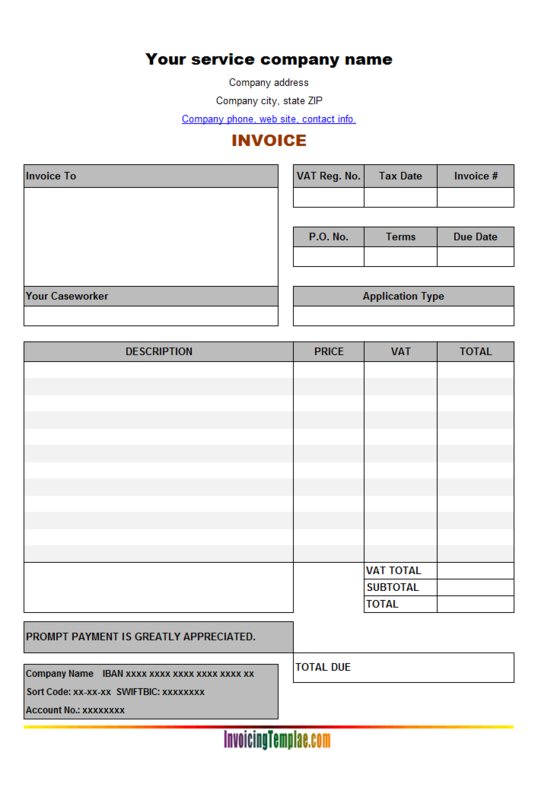 While all the invoicing templates online here on InvoicingTemplate.com is has the final common source - the default template shipped with Invoice Manager for Excel (namely Uniform Invoice Software), our invoicing software that is able to turns a pure Excel-formatted spreadsheet template into a complete invoicing program, the direct source of this design, Hourly Service Billing Template (or Hourly Service Billing Form) is actually based on c4001 Billing Template with 4 Columns. 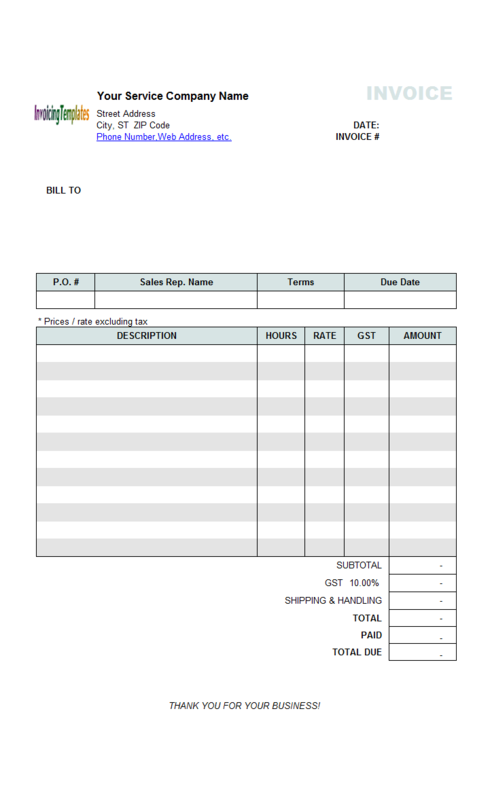 c4001 Template with 4 Columns was created from the default template shipped with Invoice Manager for Excel (namely Uniform Invoice Software), by moving the Product# column out of the printable invoicing form and placing it before the taxable column. 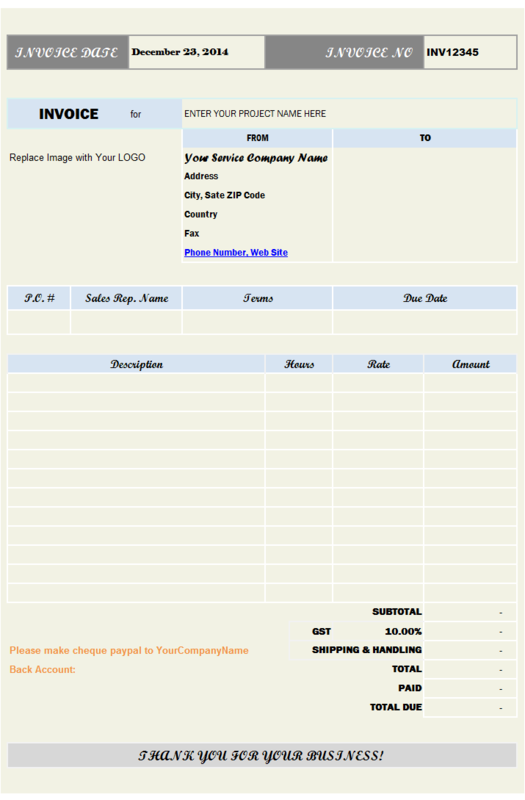 We don't remove the product# mainly for two reasons. 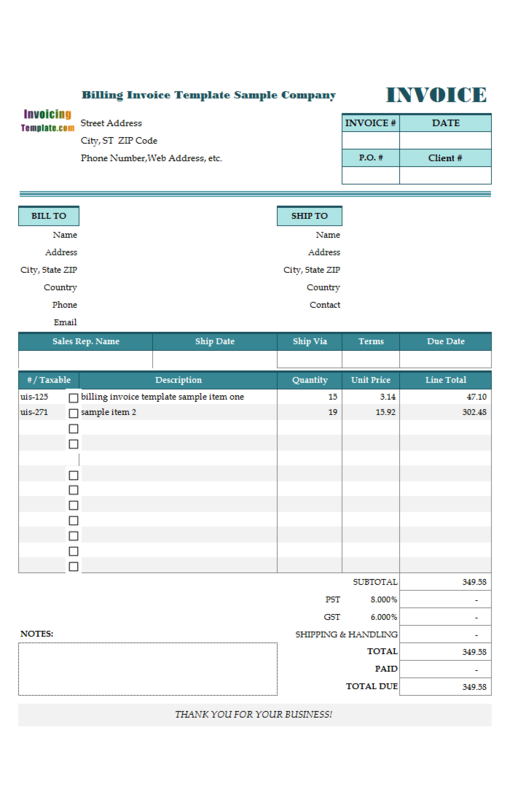 First, with Invoice Manager for Excel (namely Uniform Invoice Software) the Product# is a standard field that is required. 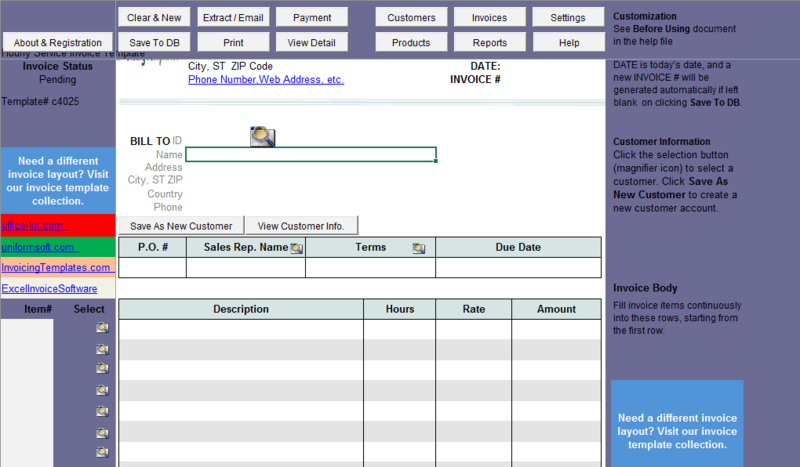 Second, with Invoice Manager for Excel (namely Uniform Invoice Software) installed, you can retrieved item descriptions, prices and other related information from the backend database by simply entering the item# into the Product# field. 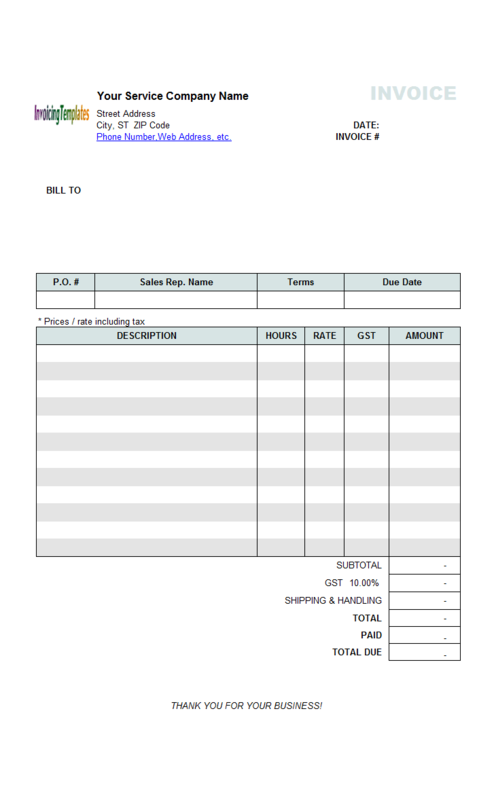 This feature is called in-cell lookup, and it is useful even you are running a service business, because it helps you avoid typing same content again and again once it is save to database. 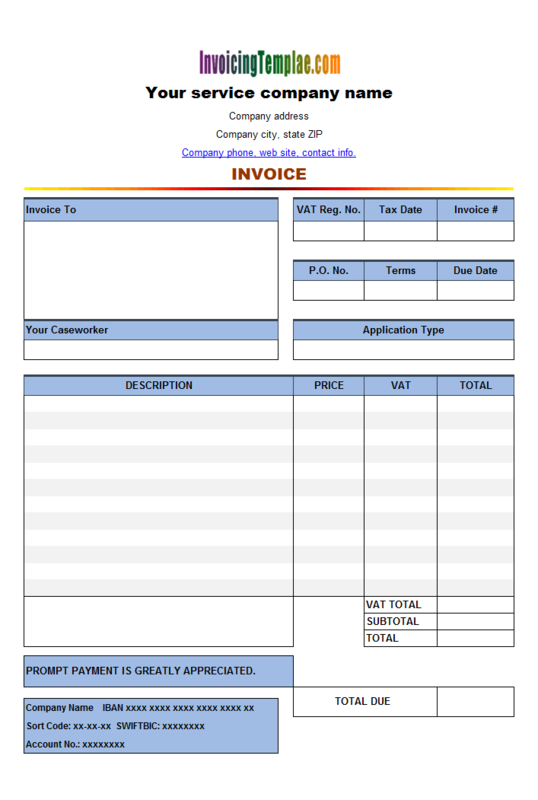 Like other form designs here on InvoicingTemplate.com, Hourly Service Billing Statement is free (offered to you at a price of 0.00USD). It works on Windows XP and all newer versions of Windows, and Excel 2007, 2010, 2013 or 2016.